Hey guys, I got back into golf more heavily this past summer after taking a few years off due to school and kids. My set was a bit aged and I hadn't really made any club changes for a few years. 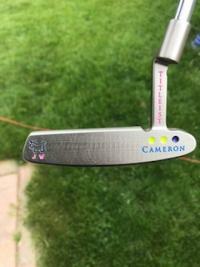 Scotty Cameron Pro Platinum Newport Mil Spec 34"
I started playing and practicing a lot more in July and August. Brought my 9 hole average score down from about 40 to about 38 including a career best 33. Amazing what can happen when you can spend even a little bit of time with a club in your hands every day. Consequently I got the equipment itch. 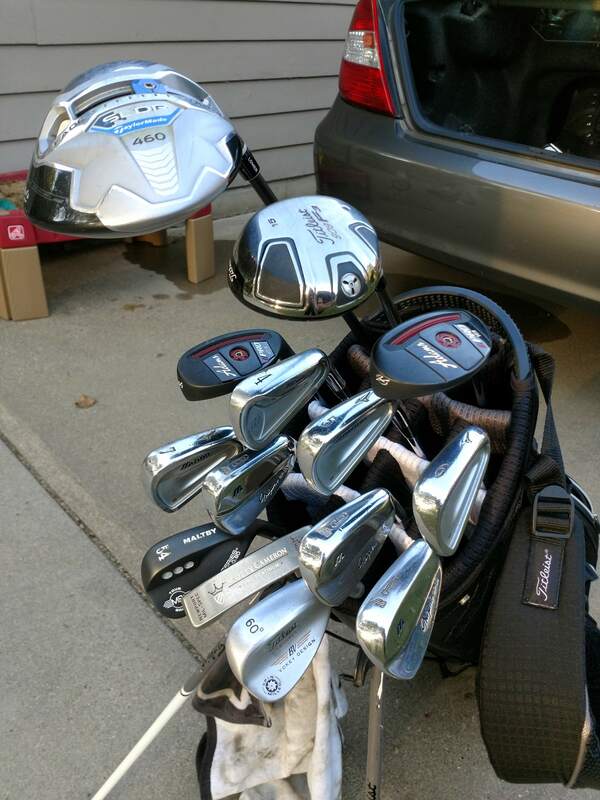 First I decided to sell the Ping G25's. I hit them fine, but they didn't inspire a lot of confidence with the thick sole and top line. I sometimes felt they didn't get into the rough well. 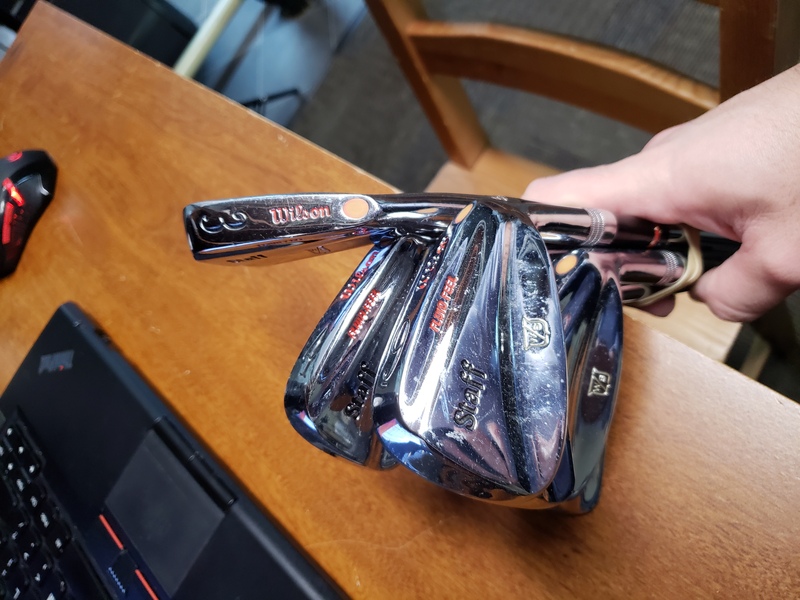 Having taken a break a lot of my recollections on equipment are about 10 years old now, so I started pining over some of the old Mizuno iron offerings that I always remembered lusting at when I was in High School. I always dreamed of owning a set of Mizuno blades. Good news, a lot of those old sets are super cheap on eBay these days! I picked up a set of Mizuno MP-57's for $60. 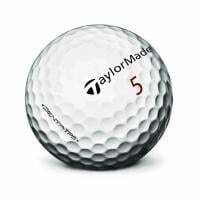 Loved the feel and found they weren't that hard to hit compared to the Pings on the 6-PW or so. Then I impulsively bought another set of Mizuno MP-14's for $65. Yikes. They're nice to look at and in good shape. The lofts are a full one club weaker compared to the prior Pings and about a half club weaker to the MP-57's. But I really enjoy having them in the bag. So I'm currently going to tinker with a mixed set. 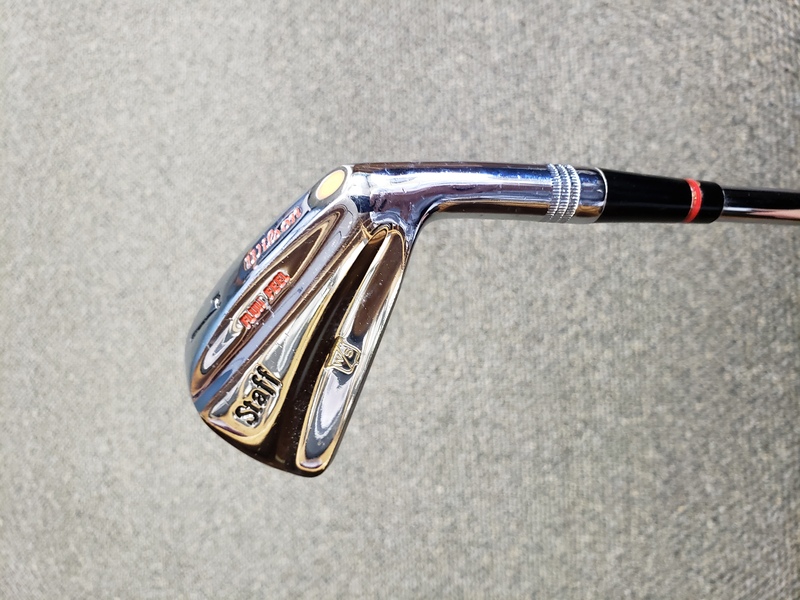 I grabbed some cheap hybrids and built a 54 Maltby M+ wedge as well to help space the lofting. The question going forward is going to be about the 7 iron through 54 wedge. I have 5* gaps for the most part and wonder if that may be a little big in the scoring area. I can instead run the MP-57's which gets to a 47* PW with 4* gaps. Then a 52* GW and 60* LW. But I do enjoy having blades in the high irons. Lastly I want to comment on the putter. The Scotty has been my #1 for about 14 years now. I believe I bought it as a Sophomore in High School which would have been back in 2004. It could use a little paint fill and there is some wear on the impact area, but I'm amazed at how well made and long lasting it has been. I'm sure I'll be back with updates and changes. New driver for Christmas anyone? Appreciation for the mixed set! Thanks for sharing! MP-14s are always in style and on time! It's all great, especially the Pro Platinum. 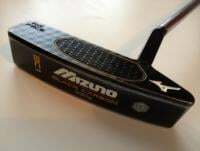 I think the MP57 was one of Mizuno's best cavity back series. Winter 2019 update. I foresee that golfwrx is rubbing off on me and I'm becoming a bit of an iron ho. Then I also have now acquired a total of 5 iron sets. Turns out all the irons I used to ogle over when I was younger are really cheap now on eBay! The DBM's are currently head of the heap. They have great looks, super thin top line, minimal offset. Yet they are a bit forgiving with a nice cavity. The black finish is really appealing as well as I always loved the look of a dark finish. The Maltby finish is very durable too. I like the loft gapping and find I'm having some nice consistency. The feel is great so far. They have a little different sound. I wouldn't call it clicky or harsh. Just kind of muted maybe. Not sure yet. The MP-57's are relegated to practice and range work. I'm hitting them a lot in my basement mat this winter working on swing changes. They're great clubs though. I played the best golf of my life with them last fall. The MP-14's are probably my current favorite looking clubs. Classic blades. I just love everything about them. I will likely put them in a Sunday bag backup set that I'll take out for leisure walking rounds. I'm amazed that they're 25 years old released back in 1994. The font used for the numbers is a big old school, but other than that I feel that they are very sleek and modern. They feel great as expected. 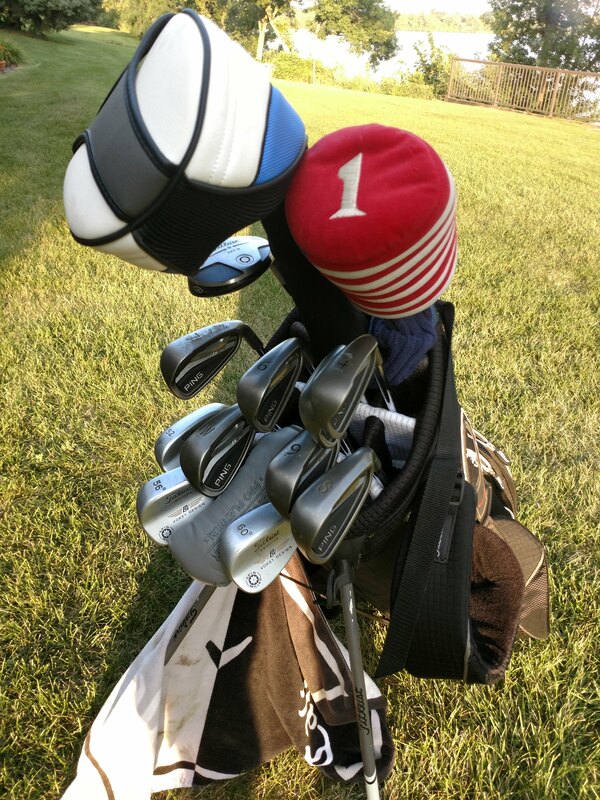 The higher irons are a bit of a challenge for me to play, but the 8-PW delivered the goods for me. I like that they have a more modern leading edge with some curve and bounce. The Wilsons were kind of an impulse buy. $33 shipped to my door. They're in EXCELLENT condition. They need a regrip and I'm currently testing a few different grips than I normally would use. The Royal Grip V Sand wraps are impressing right now, and I dig the white color. A little more 'classic' than the MP-14's. More square and boxy - which has grown on me. Higher muscle. The feel is excellent. They have that more knife like leading edge and I'm a bit concerned about how they'll play. But I do enjoy them. The lofts are exactly one club weaker than the DBM's - which I find interesting. This eBay iron obsession thing isn't really showing much signs of slowing down either. 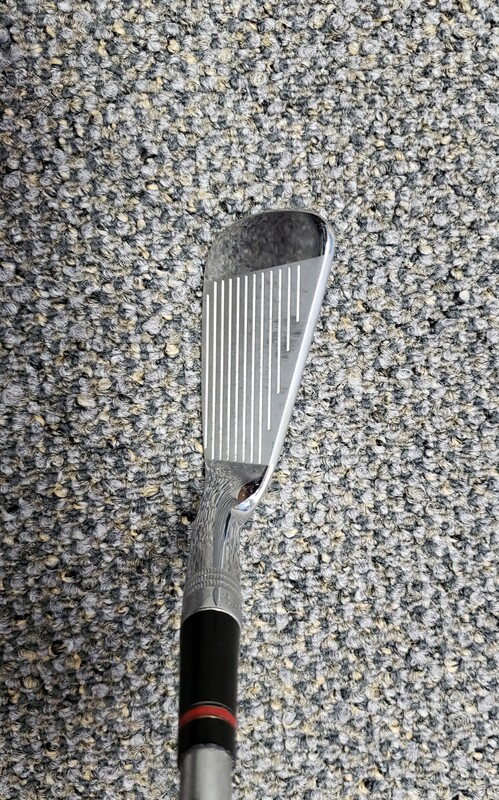 I am eyeing some Nike Forged Blades to scratch my old Tiger itch. I will definitely be buying a set of Mizuno MP-32's as I really remember loving the cut muscle and given how much I am enjoying my MP-57's. Lastly I think I may take a shot at buying some heavily worn / browned blades and seeing if a local plating shop can strip them raw. I started following National Custom on instagram...big mistake. 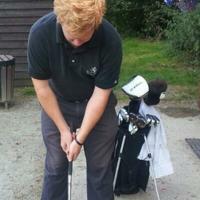 Congratulations on a solid bag though, look forward to seeing WITB come the season! Any issues with flighting the DBMs down or hitting knockdown shots with them when necessary? They look great. No not really. I would say they have a low COG, but the head as a whole is somewhat compact. 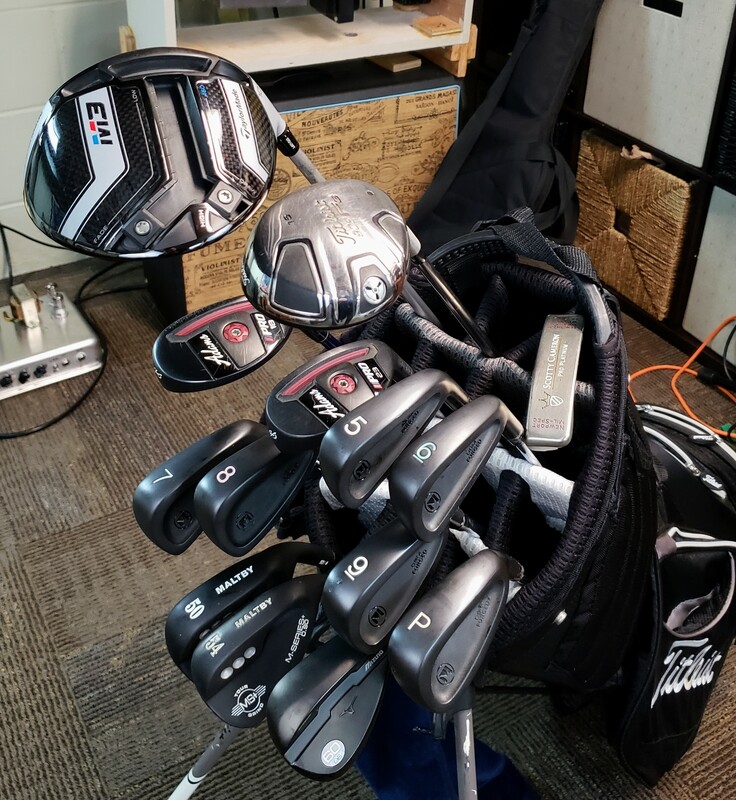 I previously owned a set of Ping G25 irons and those just wanted to hit everything very high. The DBMs are not like that.